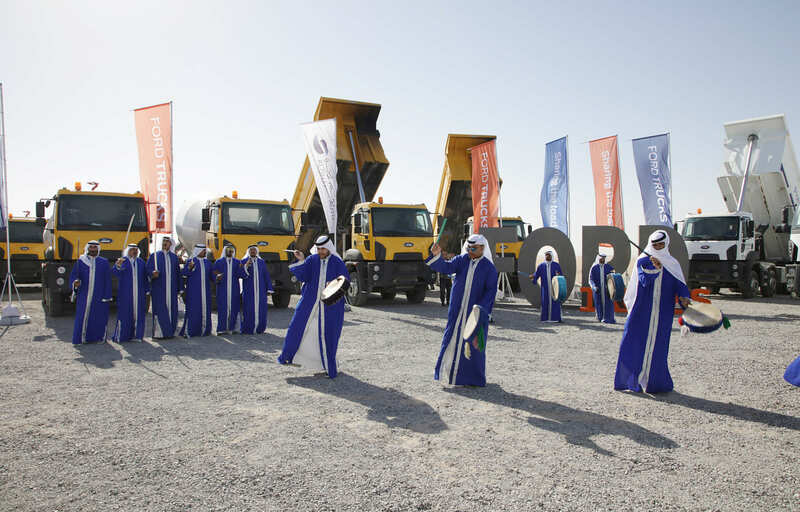 November, 2018: (Al Metlaa City): Further solidifying its presence in the construction and heavy equipment industry, Alghanim Auto, the sole dealer for Ford Trucks in Kuwait, delivered 94 construction trucks to Polatyol and Cengiz, two construction companies developing the new residential project of Metlaa. 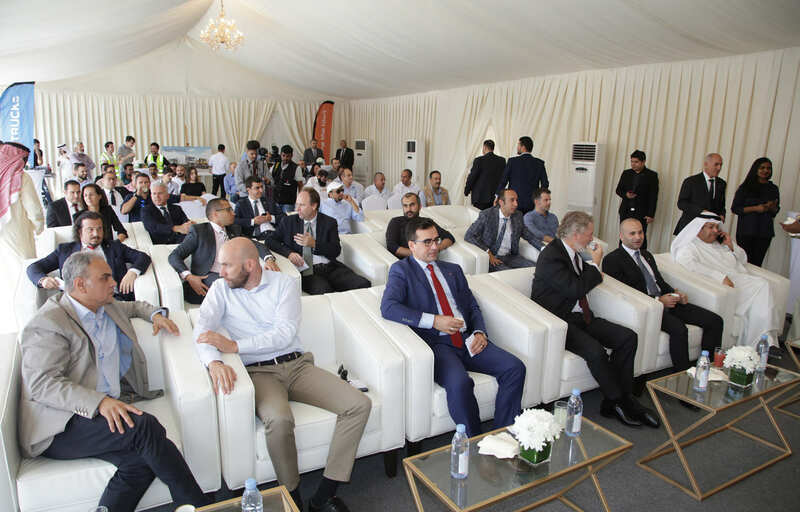 The handover ceremony took place on October 30, 2018 at the project site in the presence of Alghanim Auto and Ford Trucks management, Deputy Head of Diplomatic Mission at the US Embassy of Kuwait, Mr. Larry Memmott, and Commercial Counselor of the Turkish Embassy in Kuwait, Mr. Attila Basbug. 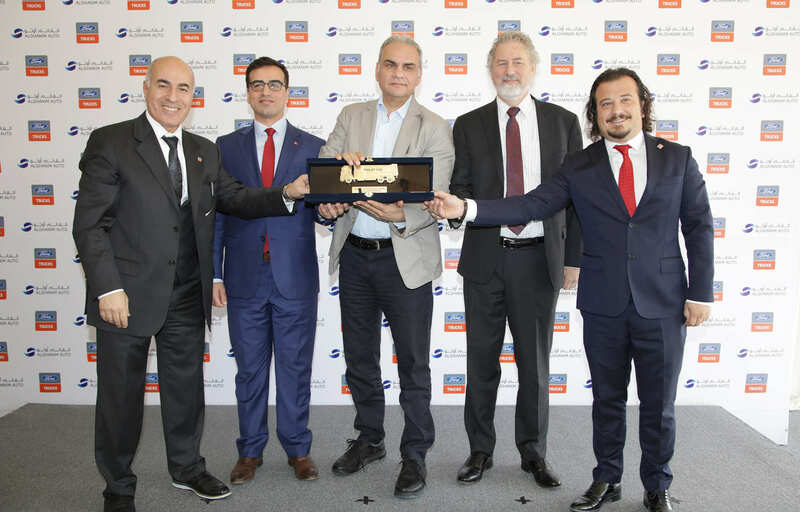 During the ceremony, commemorative shields from Alghanim Auto and Ford Trucks were presented to the Regional Director of PolatYol, Mr. Hakan Dayangac, and also to the Project Manager of Cengiz, Mr. Gokai Güler, in recognition of their confidence. 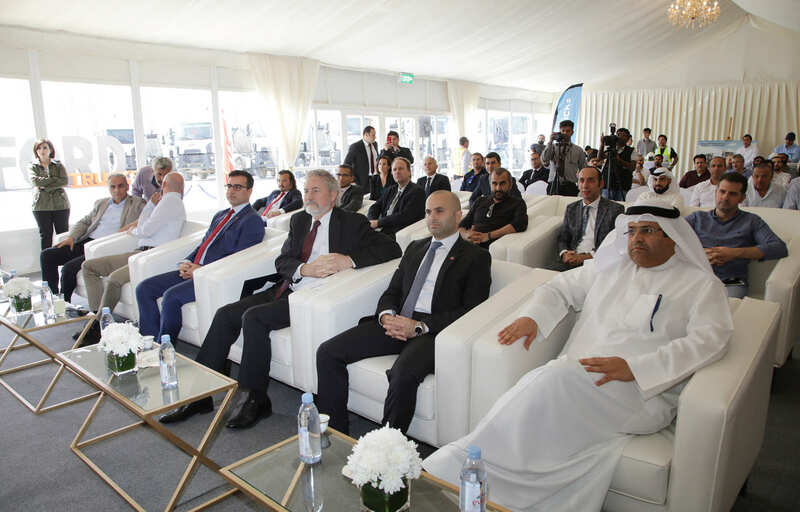 The audience then moved to the project site, where 50 trucks were handed over to Cengiz Company, and 44 trucks to PolatYol Company. The delivered vehicles varied between cement mixers, vans, water tanks, fuel tanks and maintenance trucks. The celebration started with the handover of a symbolic key to each of the two companies, and ended by a celebratory folkloric passage reflecting the art of the Kuwaiti heritage. 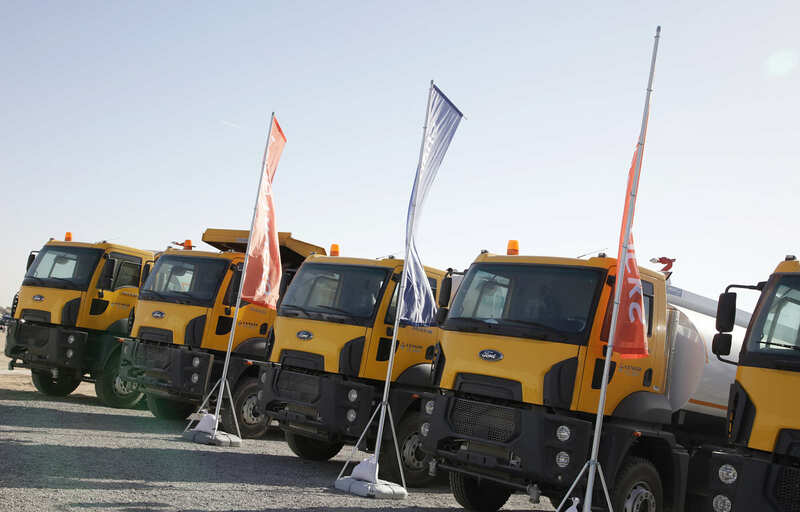 From his side, General Manager of Heavy Commercial Vehicles at Alghanim Auto, Mr. Nihad Alkilani, said, “We believe that the key to success is the establishment of long-term partnerships with our esteemed customers, and we always strive to be an integral part of Kuwait’s development. For us, this step is too valuable; not only on the business level, but also in contributing to making a difference in Kuwait’s history. 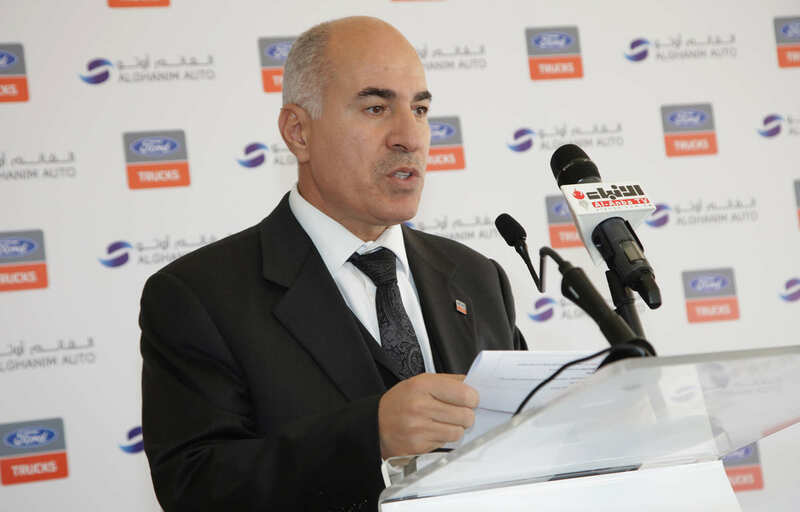 Knowing that we are playing an effective role in building the New Kuwait is something that makes us proud at Ford Alghanim,” Alkilani added. 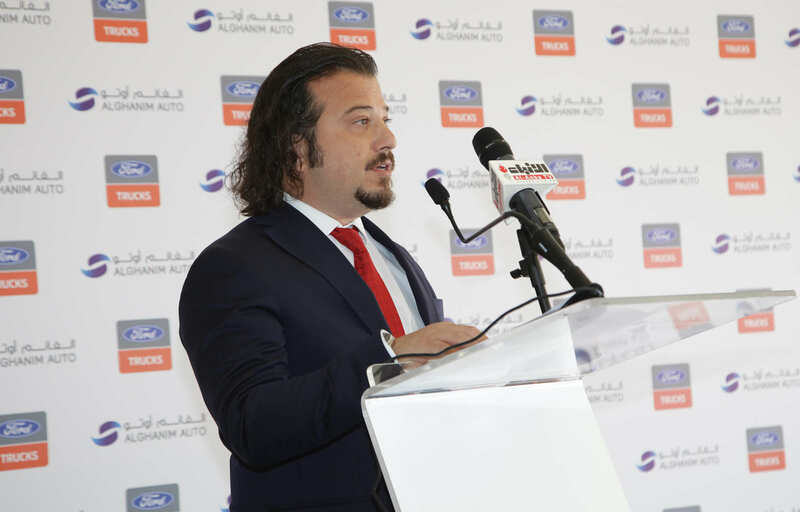 Underscoring the relationship between Alghanim Auto and Ford Trucks, Managing Director at Ford Trucks Middle East, Mustafa Caner Sinanoglu, said: “We are very proud of our partnership with Alghanim Auto. Kuwait is a fast growing market: the heavy commercial vehicle segment has witnessed strong growth over the past 5 years and is set to grow even more given all the infrastructure development plans currently underway in Kuwait. With our partner, Alghanim Auto, we are committed to providing the highest levels of customer service and competitive aftersales solutions through dedicated facilities for sales, service and parts”. The Metlaa project includes more than 28,000 housing units, 12 suburbs, public and primary parks, 156 schools, 179 mosques, 48 shops, 12 health centers, 3 specialized hospitals and recreational facilities. It also includes infrastructure, water, electricity, public works, utilities, parking and safety systems. The project is located northwest of Jahra, 40 km away, and is considered a huge and integrated architectural move that meets the needs of Kuwait's population and economic expansion. This achievement is part of Alghanim Auto's mission to enhance the presence and the image of Ford’s in all its categories and functions as a solid resource for robust products and dependability in delivering projects. All of these projects are tied to punctual deliveries where trucks play an essential role in the business of this company. Alghanim Auto provides its customers with all after sales services, including maintenance contracts and other services such as extended warranty, road assistance service, on-site maintenance service, Ford Driving Academy, fleet management system, and Recommended Up-Fitter System. 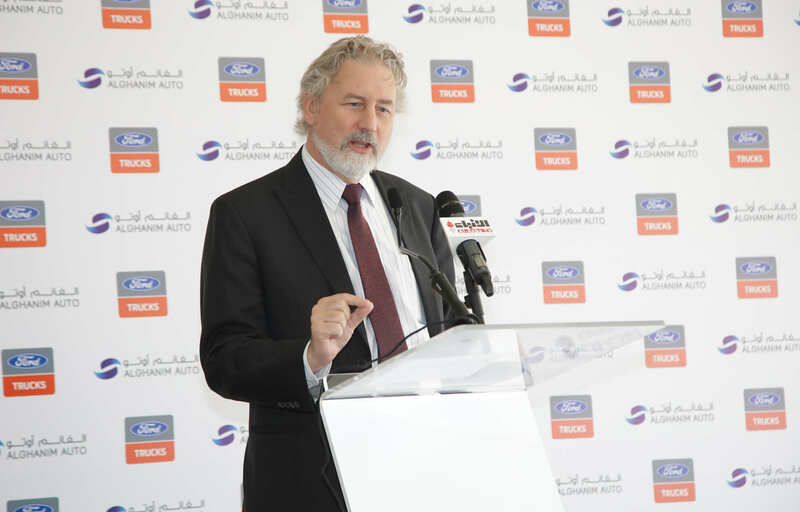 In November 2017, the world's most reliable Ford Trucks entered Kuwait under the umbrella of its exclusive dealer, Alghanim Auto, and was launched in a very short period of time, becoming a leading player in the heavy commercial vehicles segment in Kuwait. Displaying sheer power and stability under all conditions with the support of Ecotorq engines, Ford Trucks Construction Series always supports you with low fuel consumption, a strong engine brake system and extreme durability under all load conditions, while an all renewed ergonomic cabin enhances the driver’s comfort and productivity. The Ford Trucks Construction Series is powered by the new Ecotorq engine offering comfort for drivers with exceptional traction uphill and on rough terrains. The Construction Series delivers 430HP, as well as strong performance in demanding site conditions with 2150Nm torque value. While climbing the steep slopes encountered especially in earthmoving and cutting sites with high torque, the new 400KW engine brake keeps the power continually under control. The optional 600KW Intarder option offered for even rougher conditions brings the total braking capability to 1000KW, ensuring that the heaviest loads can be safely carried on even the steepest slopes and hills. Functionality meets aesthetics with the Ford Trucks Construction Series, ensuring a comfortable journey for those carrying a heavy load. The Ford Trucks Construction Series also offers flexible solutions for various projects, thanks to an automated transmission option with different usage modes for road and terrain. 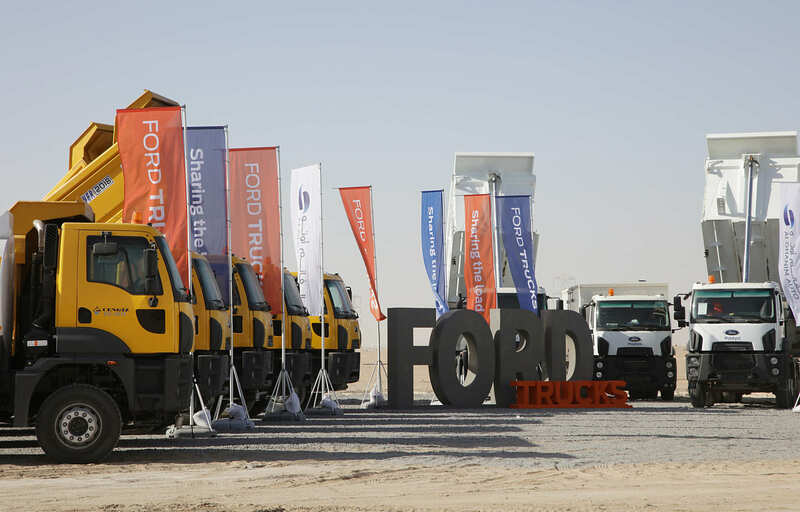 With the new agreement and the handover of 94 Ford construction trucks, Alghanim Auto and Ford Trucks become effective partners in the infrastructure, public works and construction of the new modern city, which makes the company proud of its contribution to the construction and development of Kuwait.